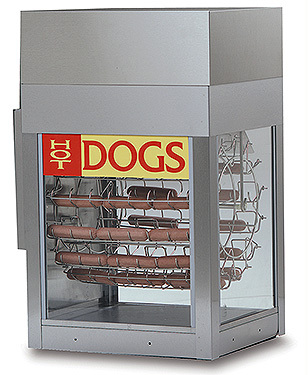 The Dogeroo hot dog cooker is easy to clean. Each segment lifts off the Bun Warmer, Powerhead and rotisserie assembly. Lift out the tempered glass windows. This item is oversize and must ship by truck. Call for best pricing or we will contact you after you place an order for any other freight charges that may be incurred.